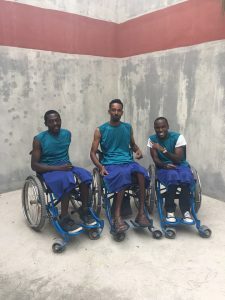 We are committed to assisting those with disabilities to be able to participate in sports and other leisure activities enhancing their quality of life. Participating in sports activities is a way to build friendships and self-esteem, provide exercise and promote teamwork for everyone. For those with disabilities, it means so much more. They realize they are not alone, that there is hope and life after an often devastating experience. It provides social support and inclusion opportunities. 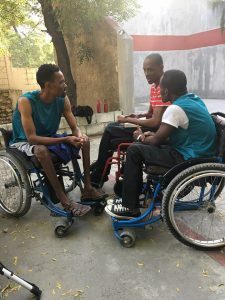 There are challenges in participating in adaptive sports everywhere but even more when living in a low resourced country. 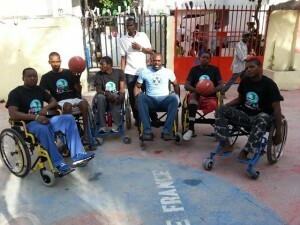 Getting around in countries like Haiti in a wheelchair is extremely difficult, if not impossible. Many areas are impassable. There are no handicap accessible buses, no ramps or lifts, roads are in poor condition or are just plain dirt and rock. Just try to imagine trying to get to a place in a wheelchair or on crutches. Our goal is to purchase a vehicle to help with transportation of players who use wheelchair or crutches to work and practice. Want to learn more about how you can help provide work for the members of Team Zaryen? Click here. Team Zaryen soccer is for all people with an amputated arm or leg in Haiti who want to play soccer and includes, men, women, and children. 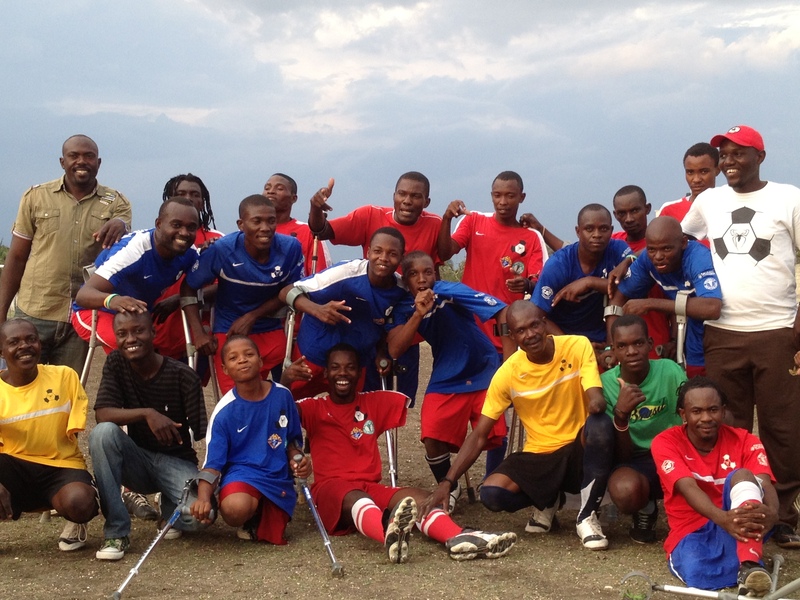 When possible the team travel throughout the country playing competitive soccer against other amputee soccer teams in Haiti. In September of 2013, the Team Zaryen Wheelchair basketball team was created. Meet Cator, Karasco, Carl, and Junior. 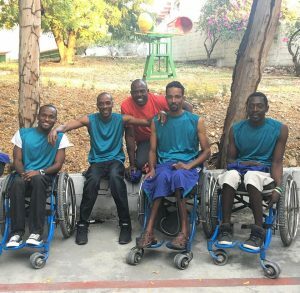 These amazing men have suffered from spinal cord injuries, amputations, and multiple traumas but still, continue to carry on! Also, in the picture is Coach Cedieu Fortilus (in the blue shirt). Creating this team alone is an incredible accomplishment. Finding a place to practice is another feat. They practice now on a street but often cars are parked in the way. Come back soon to see our progress in our efforts to support this team.